Is your guttering blocked with moss or leaves? Is rainwater not able to flow freely? 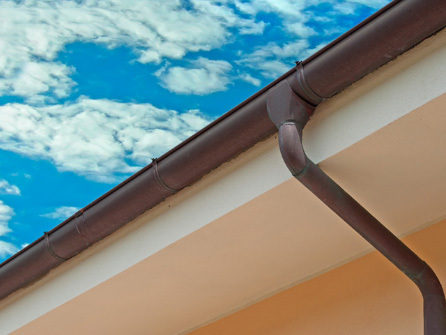 A good guttering system is a must for any property, a way for the rainwater to run away from the building instead of towards it and also it completes the look of your roof by having guttering, fascias and soffits that compliment it. We supply and install traditional and modern uPVC guttering systems for all types of properties in the West London area including Chiswick, Fulham, Hammersmith, Clapham, Battersea, Wandsworth and all surrounding areas. We use only the best quality uPVC that is durable and can handle the British weather extremes. We offer a high standard of uPVC product and installation but at competitive prices that is extremely durable yet attractive. Our guttering has a ´no rot´ guarantee and is virtually maintenance free. 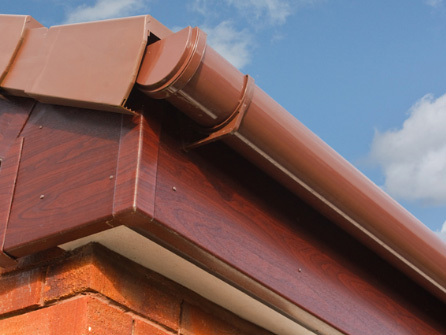 The fascias and soffits we install are BBA approved with a life expectancy of over 20 years. If you need your guttering cleared of debris such as leaves and moss, our team can help you with that too. So, whether you are looking for a completely new set of guttering, fascias and soffits or you need an existing gutter to be repaired, call in the expert help and guidance of our team at Britannia Roofing & Building Ltd.